parliament bike racks, originally uploaded by Daveybot. Thanks to Peter for pointing us in the direction of this great bike rack outside the Scottish Parliament in Edinburgh. The photo was taken by Daveybot on Flickr. 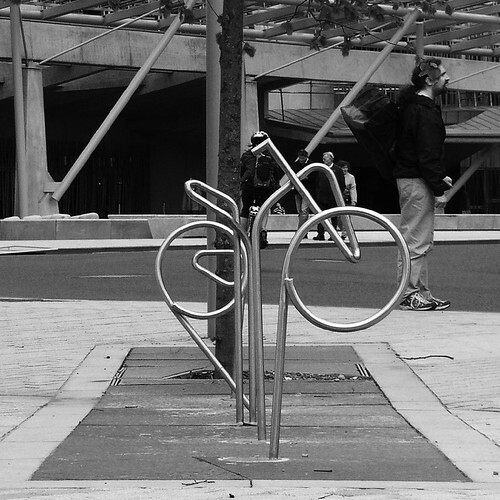 If you look at the bike rack at the right angle they form the shape of a bike.